Interview and story at Indiana Daily Student. Profiled and interviewed by DePauw Magazine. Story at Depauw University's website. 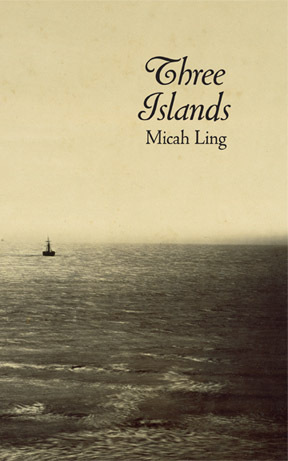 Three Islands, Micah Ling’s first full-length collection, brings together the three colossal figures of Amelia Earhart, Robert Stroud (the Birdman of Alcatraz), and Fletcher Christian to examine the solitude and madness that comprises their slight degrees of separation. Existing in the channel between fact and fiction, these poems deftly swim among the slight nuances that divide captivity, isolation, and escape.